The tumbling price of crude oil continues to be felt on commodity currencies. The biggest faller of week has been the Canadian dollar which has seen more than a two percent slide against the US dollar. 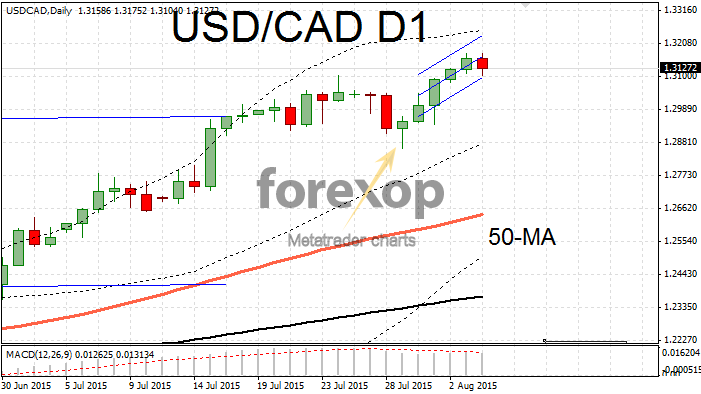 USD/CAD fell back to 1.3175 after the greenback was trading as high as 1.3195 earlier in the day. 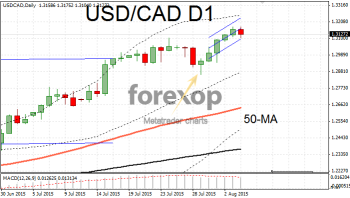 Against the euro EUR/CAD was trading at 1.4386 and remains in a bullish uptrend on the daily chart. The weekly oil inventories data due tomorrow is expected to show a fall in supplies of around 1.3 million barrels. Also anticipated next week will be OPEC’s monthly quota estimates. The macro economic effects of a slowdown in China continue to add to a supply glut and depress sentient towards commodities and related currencies. Recent data showed that factory activity across smaller Chinese firms fell at its fastest pace in two years. The drop in demand from a slowing Chinese economy will add to downward pressure on prices for oil and raw materials for some time yet. These headwinds are likely to continue to put pressure on the Canada dollar. Canada’s economy is suffering due to its lower margins and higher costs for oil extraction, making it harder for the economy to weather a prolonged slump in prices. The Australian dollar rebounded sharply today after the country’s central bank – Reserve Bank Australia announced that it would keep interest rates on hold at 2%. The decision was widely anticipated by the market but the event created a significant relief rally. After cuts in New Zealand’s base rate traders saw the risk as high enough to warrant some defensive positioning against a surprise move. Markets also welcomed a more upbeat outlook in the statement from the central bank. AUD/JPY jumped 1.8% on the news taking the rate up to 91.77. AUD/USD underwent a similar bounce and moved back up to 0.7418. Markets also welcomed news that Australian retail sales performed far more robustly than expected in June. The latest data from the Australian Bureau of Statistics showed sales climbing 0.7% on the previous month. The New Zealand kiwi had a subdued reaction to the positive news. NZD typically reacts on upbeat news from its Australian neighbour. The lack of a bounce is evidence of the extreme bearish sentiment towards the New Zealand currency. After an initial jump NZD/USD fell back to 0.6564 – not far off a six year low. AUD/NZD lifted nearly two percent to 1.1285.